Jacklyn Laflamme was born and raised in Montreal Canada, graduating with degrees in Creative Arts and Interior Design, both with honors. She began a professional career leveraging her design sensibilities as a Visual Display Artist; an early training ground she shares with such artists as Jasper Johns, Robert Rauschenberg and Willem DeKooning. She joined Image Display, Canada’s leading Visual Display Company, and attributes her infallible sense of line, balance, structure, form and harmony to her five years with this company. While working for Image Display, Laflamme simultaneously apprenticed herself to a Canadian paint maker. Here she gained a comprehensive, hands-on education for the elemental materials of her craft: How the grinding of pigments can affect the brilliance of a color, to the mixing of the binders, solvents and additives that create the body of the paint and how different manufacturing techniques affect the intensity of hues. This gave her the foundation to intelligently experiment with different color mediums that manifests itself today in the riotous color that drenches her canvases. Moving onwards and literally upwards, Laflamme’s career took off as she entered the world of interior design for corporate jets. Over the next 10 years she designed for Bombardier in Montreal, Lear Jet in Tucson and Gulfstream in Savannah. In this work she traveled the world designing complete interiors (and supervising the build out process) for heads of state, nobility and the leaders of the business, sports and entertainment worlds. In 2000, she decided to live her dream and work as an artist. She was emboldened in this decision by the success of her first solo show, selling four paintings on opening night, she committed herself to making art full-time. She has sold hundreds of paintings through galleries and direct commissions. She is an award-winning artist a grant recipient and is emerging in the public art scene with her sculpture and vibrant murals. Since moving to Florida Laflamme is a graduate of the 2009 The Artist as an Entrepreneur Institute, a course of study to assist artists by cultivating and advancing their business skills over a series of 20 classes. 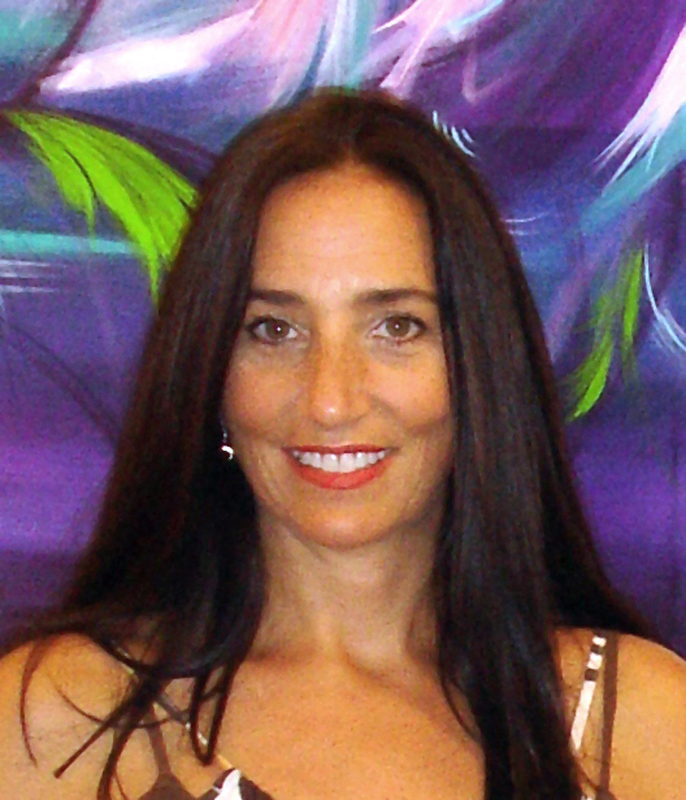 She participated in several workshops also presented by the Broward Cultural Division: Mini — Grants, The Artist Micro Credit Workshops and was selected as one of 24 artists for the Creative Capital Artist Workshops in 2011 and 2012. She attended The Art of Doing Business Workshops offer by ArtServe. In January 2009, Jacklyn collaborated with two regional artists to create the inaugural exhibition featuring Artist as an Entrepreneur Institute graduates, titled “Doing Business as … Artist Entrepreneurs”. This successful show continues for its fifth year to be held January 2013. Jacklyn has coordinated and collaborated on several community projects including the Wilton Manors Mural Project (2009), a grant funded project which included a mural inside the Children’s Nook Area at the Richard C. Sullivan Library, a civic engagement component with workshops and the final unveiling of the mural with a showcase of the children’s mini mural project and art exhibition. The Fairy Tale Project (2010) was an exhibition of 32 acrylic paintings created as illustration for a series of children’s books written by local author, Dani Lynn. This collaborative grant funded project reached out to the community through the Broward County Library and Broward County Schools with a series of “Story Time” book readings. The project continues through its website and traveling exhibition, a third book was launched at The Lighthouse Museum for The Arts in Tequesta FL. Currently, a Studio 18 in the Pines studio artist, Jacklyn continues to work professionally. 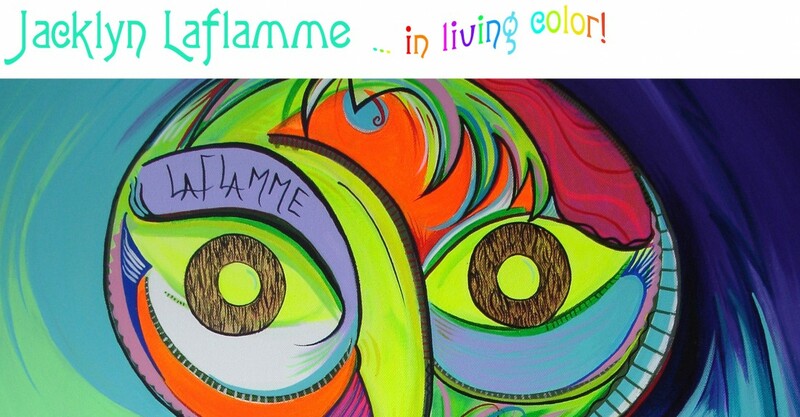 Laflamme’s work can be found in several U.S.A. and international collections in Florida, North Carolina, California, New York, Canada, Spain and Basel, Switzerland. Jacklyn has been selected to participate in two upcoming public art events, Full Sails (Fort Lauderdale) and Tales of the Surfside Turtles (Surfside, FL) and is a featured artist in the Community Foundation of Broward Grant funded project — 13th Street “Outdoor Gallery” Project, where three (3) pieces of public art will be designed in a community collaboration.